The Satellite Navigation (SatNav) market has seen tremendous growth in recent years with our constantly-connected, Google Maps-driven society contributing to a huge increase in the number of devices connected to navigation satellites. A combination of technological development, increased proliferation of SatNav-enabled devices, and the ever-growing frequency with which we are connected will contribute to new ways in which SatNav is utilized. Historically having played a crucial role in military applications, SatNav has increasingly become an important part of the civil and commercial markets. The latest technological developments will continue to make GNSS an integral part of various commercial applications related to internet of things, augmented reality, 5G, and smart city projects. As the European Space Agency’s (ESA’s) market research on GNSS, the downstream services market will approximately generate annual revenue of 200 billion after 2025. The American-launched Global Positioning System (GPS) was the only constellation capable of global SatNav until 2011. 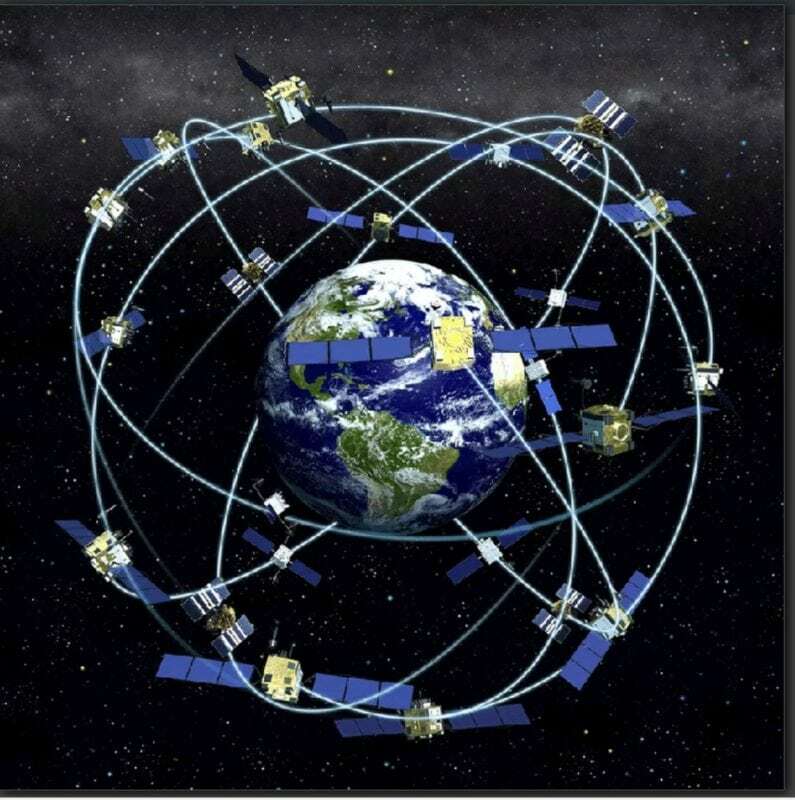 Propelled by commercial need and national security concerns, Russia, the European Union (EU), China, Japan, and India have satnav programs, namely GLONASS, GALILEO, BeiDou, QZSS, and IRNSS, respectively. The GPS is an American SatNav system. It currently has 24 operational satellites in Medium Earth Orbit (MEO). The GPS remains the crucial piece of application for U.S. military, but has also created a mass application commercial market, in part from its technological leadership, and in part because of its low-cost navigation chipset (brought about in part due to technological leadership and “legacy”). Many smartphone manufacturers prefer GPS chipset as the cost is relatively lower than other SatNav systems. Europe’s GALILEO SatNav system is expected to boost the European navigation market with also spreading its wings through various partnerships with Asian countries like Japan and India. The GALILEO system is said to have provide one meter of accuracy for public use, providing more reliability for related services in the European market. GALILEO is expected to be operational by 2020 and the European GNSS Agency has already started taking necessary steps to create commercially viable value chain in the European region. The GALILEO Smartphone App competition is one such example where European GNSS Agency has started showcasing its capability of creating opportunities for utilizing GALILEO’s data products. Similarly, Russia and China have made inroads into the SatNav market. Russia’s GLONASS was the second SatNav to be operational globally in 2010. But due to the different position of the Russian satellites, GLONASS has much more wide and accurate reach for the polar regions. China, which continues to march towards the completion of its new generation of BeiDou satellites, has focused recently on gaining downstream market share in Belt and Road countries, specifically in Southeast Asia and the Arab World. In SatNav, downstream market is a competitive area and the demand for these services in increasing every year. The navigation chipset is one of the important segments of competition as companies like Qualcomm, Broadcom, MediaTek, Intel, and Furuno are some of the well-established players in the market. Furuno of Japan produces a GNSS receiver. The company’s focus from past few years has been on developing a receiver chip compatible for GPS, BeiDou, GALILEO, and others. The downstream market competition has significantly increased as the commercial gateways for the companies are increasing by the on-going development of GNSS by different countries. China being one of the prominent space players in Asia, has laid down the roadmap for its commercial SatNav services to be delivered via BeiDou. Many space emerging nations once had kept their space capabilities reserved for military purposes, but China is one such country to transfer military technology to the private sector. In March 2015, Chinese President Xi Jinping passed a civil-military integration policy as a part of China’s national strategic plan. These prominent changes in the policies for favoring commercial services, has led to take slingshot leap of market competition among the companies around the world. Though navigation applications have made way to various sectors, the key market for GNSS receiver chip is smartphones, accounting for more than 50 percent of the global navigation devices. Apart from smartphones, the complex devices used for maritime and disaster management are also the market segments where companies are trying to establish themselves in the global market. SatNav is used in almost every industrial sector, including defense and security, telecom, finance, transport, maritime, and so on. The most important application that plays a crucial role in our day to day life is timing and synchronization. Whether it’s Google Maps or financial markets, timing is everything when it comes to delivering accurate services to the end customer — because a minor change in the timing can collapse the operations of the whole system eventually leading to deliver the inaccurate data to the end customer. The economic sectors like energy and finance are expected to be more dependent on SatNav as the digital technology is swapping with traditional mode in many developing countries. Cyber security demand for SatNav is increasing, especially for sub-verticals such as financial markets, the cyber threats like jamming can cause huge loss in business. Almost all the systems around the world use Network Time Protocol (NTM), which is a networking protocol between computer system and data networks. And as the NTM uses Universal Time Coordinated (UTC), the end users are mostly vulnerable to cyberattacks such as disabled network and misleading data information. Hence, the need for developing efficient and critical cyber infrastructure is necessary for the smooth operation of SatNav services. The big data processing, smart cities and multimodal transport are also some of the most important emerging applications of GNSS. The complex data volumes are rapidly increasing and GNSS will provide the big data processing units with accurate time and location. Similarly, for smart cities and multimodal transport, GNSS services will provide efficient infrastructure design, monitoring and safety for the planners and the end users. The overall global GNSS market gives a crystal-clear sign of positive market growth. With the number of SatNav systems increasing, the demand for multi-GNSS receiver chip is set to increase in the coming years. Separate to this, SatNav will see generally better opportunities in developing markets than in more saturated developed ones, leading to enhanced demand for more cost-effective chipsets. SatNav will also see geopolitics play an increasingly important role, particularly between the United States and China. China’s BeiDou has started offering services across the Belt and Road region (Eurasia and Africa), with more than 33,000 vehicles already connected. Similarly, the demand for services in the European region are going to rise as the ESA is manifesting the business opportunities from GALILEO system by giving access in Europe to GNSS research and development funding resources such as European Structural Investment Fund and the Connecting Europe Facility. 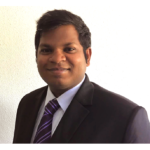 https://www.satellitetoday.com/wp-admin/media-upload.php?post_id=300601&type=image&TB_iframe=1Omkar Nikham is an analyst at Orbital Gateway Consulting. The post Satellite Navigation: A Global Perspective appeared first on Via Satellite.